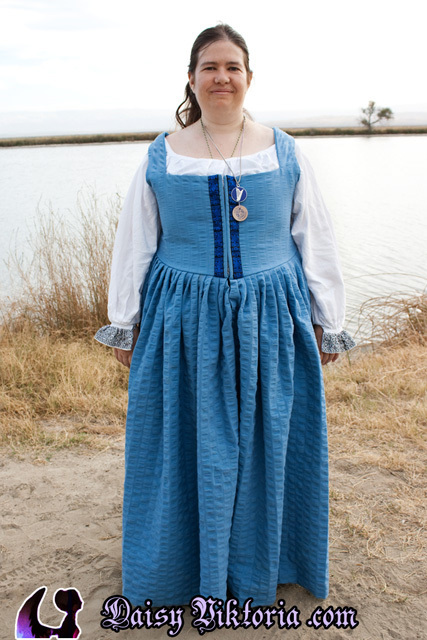 This dress was made for Lady Cecilia. 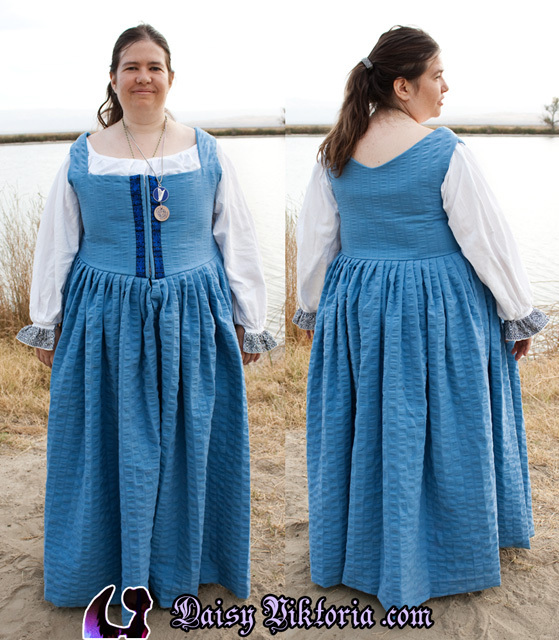 It is a simple Renaissance style, worn throughout Europe. 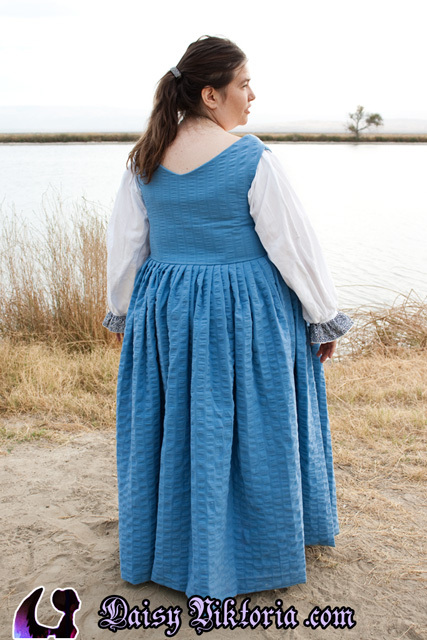 The dress, or kirtle, is made of blue cotton and linen. Cecilia made the chemise with the embroidery herself.